Composed by Allen Pote. Choral Anthems. Hope's All-Time Best Sellers Series. Creed, Praise, Ring & Sing, Celebration, Festival, Holy Week, Easter Sunday, General Worship, Sacred. Octavo. Hope Publishing Company #F1000. Published by Hope Publishing Company (HP.F1000). 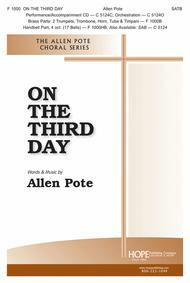 With a text adapted from the Apostles' Creed, Allen Pote's triumphant setting for organ with optional brass, handbells and timpani now has yet another performance option - orchestral accompaniment. 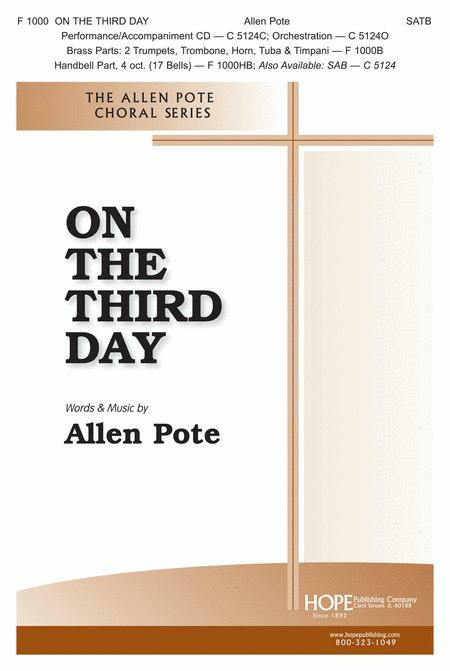 Separate SAB and SATB versions are available and, however one chooses to perform this, it is sure to delight listeners and generate plenty of Easter morning excitement. Orchestrations: Electric Bass, Flute, Oboe, 3 Trumpets, 2 Horns, 2 Trombones, Tuba, Percussion 1 & 2 Timpani, Harp, Violins, Violas, Cellos, Basses. Hear the Children Sing "Hosanna!"